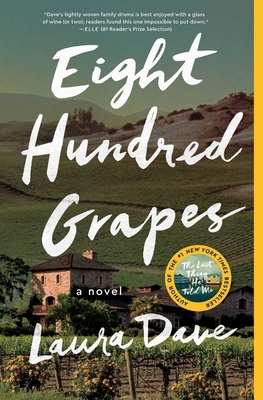 Heralded as "impossible to put down" (Elle), and named a Best Book of the Summer by Glamour, Good Housekeeping, Cosmopolitan, Elle, Marie Claire, and Us Weekly, Eight Hundred Grapes is a heartbreaking, funny, and deeply evocative novel about love, marriage, family, wine, and the treacherous terrain in which they all intersect. There are secrets you share, and secrets you hide... What if your beloved fianc , he of the crinkly smile and irresistible British accent, had kept a life-changing secret from you? And what if, just a week before your dream wedding, you discovered it? Eight Hundred Grapes is a story about the messy realities of family, the strength (and weaknesses) of romantic love, and the importance of finding a place to call home. "This winning tale will both satisfy on a literary level and encourage oenophiles to pour themselves a glass of a recent vintage to enjoy while reading; it's a tasty treat for wine lovers and teetotalers alike" (Publishers Weekly). You won't be able to put this "addictive" (Us Weekly) novel down.